So I’ve been working through the first box of books sending them out to reviewers. And I’ve been so busy organising things I didn’t get round to posting on the website, so (Trumpet fanfare!!) 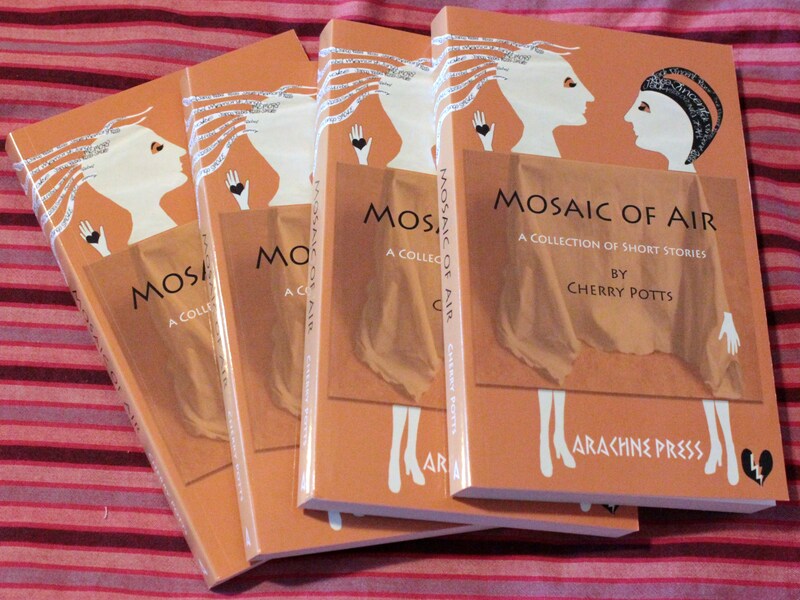 Mosaic of Air is here, and will be in the shops on 26th September. There will be a launch party at The Planetarium, Royal Observatory Greenwich SE10 8XJ on 1st October 2013 at 6pm (Combined with Weird Lies, the latest Arachne Press/Liars’ League collaboration). Readings will focus on Science Fiction stories. If you would like to come along, it’s free, but we have to have a guest list for H&S and so on, so please contact me and reserve your place by the 26th September absolute latest. On 5th September at 7:30 there is another joint Weird Lies/ Mosaic of Air event, (also free) focussing on fantasy stories, at Misty Moon Gallery, Ladywell Tavern 80 Ladywell Road, SE13 7HS. You can still buy copies at pre-publication price of £11 up until 26th September, post free within UK. This entry was posted in fairytales, Fantasy, fiction, live literature, published work, readings, Science Fiction, short story and tagged Launch Party, Misty Moon Gallery, Mosaic of Air, readings, Royal Observatory Greenwich, Weird Lies by Cherry Potts. Bookmark the permalink.